Hey blog type folks. Last weekend I was browsing around the iTunes store looking at what new music was available. I do this most weeks, but normally on Tuesdays. 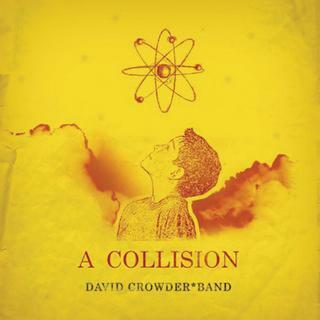 I saw where if you pre-purchased the new David Crowder Band album you got a bunch of neato extra stuff, like unreleased mixes and other fun stuff. It also included a pdf of the liner notes. Have I mentioned how much I miss reading liner notes when purchasing music online. Their brilliant marketing worked flawlessly cause I jumped on it without giving it a second thought. Tuesday when I logged into iTunes to see what's new it popped up and told me my purchase was ready to download. I normally listen to something immediately when I get it. But if I don't listen all the way through the first time, I may just listen to the first three songs over and over cause I liked them. I was busy Tuesday and didn't have the time. So today, I finally listened to the album all the way through after running it through JHymn to unlock it the files and then converting it to mp3 so it can be played through our networked TiVo's and in my player which is 10 times better than an ipoo. The album is fabulous. This is really something, considering I don't often say that much music is great. It's just refreshing to see somebody doing something original that I actually like. Don't get me wrong, lots of people show originality, but a lot of it is original crap. Recording an album full of the sound a dry erase marker on a white board makes would be original, but who wants to listen to that. Anyway, check out the album it's good. Apparently I'm not the only one who thinks so. It was as high as #2 on iTunes, and currently sits at #4. This is pretty impressive for a "Christian" artist. Can you type the first paragraph of this post over again and do it in ENGLISH?!?!?!?!?!? I guess all the tech-ese doesn't matter that much if the point is to listen to the band.